My cousin Leah (or as she’s known to my daughters, Tia Leah) gave Maddie a little red piano at one of my baby showers. For many months it sat proudly in our living room, waiting for the day Maddie would be ready to tickle its ivories, and tickle them she did. We got used to her giggling and playing, and we took tons of pictures of her pounding the keys. It was a very grand piano. But then, when we returned home from the hospital after she passed, the little red piano just sat there. Taunting us with its silence. Eventually, we asked my parents to take it away. After some time, my parents brought it back to us, when they knew we were ready to hear its music again. Annie found it, of course, and being the musical kid that she is, she wanted to play it. I’m glad that she threw herself into playing the piano, because we had no time to be precious about it. That piano was going to make her music, damn it. A few months ago there was an accident and the piano broke. We were all so sad and upset. My father’s friend Jim lovingly put it back together – he even carefully matched the paint. When it came back, looking good as new, Anne couldn’t wait to get her hands on it. She literally clapped her hands and jumped up and down with glee. There’s really no room to be sad when you see something like that, you know? I’m so very thankful that every day I can hear Annie giggling and tinkling away at the “pa nan oh.” I hope it is never silenced again. Has Annie seen photos of Maddy playing the piano? I’m sure she would love them! And I’m so glad it’s not silenced anymore, too. Piano music filled my home growing up with Mom and sister Teri tinkling the ivories regularly. My job of ten years comes with a grand piano and several capable hands caress its keys daily and with enthusiasm for the sheer joy of hearing whatever piece the artist chooses. Music belongs to us all; all over the world we share music. It’s great to see her making beeeautiful music on the red piano! I’m so glad that little red piano is making music again. I am so thankful Annie carries on Madddie’s tickling of those ivories. And, if you don’t mind my asking, is there a post lurking in the story of the piano accident? Bet it makes you just smile so big to see her playing that. She is absolutely adorable!! Happy Easter to your family. So, so sweet. I’m glad you are hearing it’s music again. Your family makes such beautiful music. The joy in those little girls’ eyes is infectious. They are both so lucky that they got such amazing parents! The red piano was the very first gift I got Maddie when she was born. I remeber it like it was yesterday and just love watching and listening to her play it. Annie looks like she is having fun and loves it just as much as Maddie did. So happy you were able to get it fixed. Sorry! Wink Wink. What a sweet post. I second Lisa’s comment above, I’m glad the little piano is back to making music. BTW, Annie looks like a little Billy Joel in the last picture! How lovely. I used to listen to music everyday driving to work my commute wasn’t that long but long enough. When I was getting ready to return to work after my miscarriage last year it was expected that I would return at 100% which I took to mean NO TEARS, I was afraid to listen to music becasue I was afraid I would hear a song and it would make me cry and then I would be looked at as not returning at 100%. I have not listened to music in my car since May 1st instead I listen to talk radio. I don’t listen to music anywhere else really except at my part time job but I don’t reall hear it , I would love to be strong enough to listen to music again. I am so glad the paino brings you joy again. Annie is such a happy sight as she sits there playing the little red piano, and Oh my goodness,,,,,,,,,,,,,,,,,,,,Maddie is positively beautiful in her “piano photo”!!!!!! Just look at that little face…………………. Yes, may it never be silenced again. How sweet that these sisters share a love of both music and of this piano. 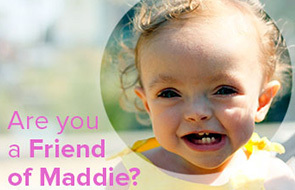 Thank you for sharing Maddie and Annie and your journey with us. Hoping that the giggling and the music never stop. Beautiful pictures of Maddie and Annie. Thank you for sharing. Take care. love the last picture. may there always be music in your lives. Pa Nan Oh’s should never be silenced! Glad that Annie is able to enjoy it as much as Maddie did. Beautiful, beautiful! I love this story. Those two pictures of them are so precious.